The Elgin Cool Wine & Country Food Festival is back, and it’s guaranteed to be one of the region’s social highlights. The 2019 version takes place over the weekend of 27 and 28 April and will see participating Elgin wine producers pulling out the stops to showcase their range of fine wines paired with great food offerings. One of the weekend’s not-to-be-missed attractions will no doubt be Paul Cluver Wines, who have a selection of scrumptious treats in store at the estate. 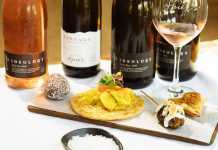 The line-up includes a pairing of their cool climate wines with a selection of irresistible savoury and sweet offerings from SALT at Paul Cluver kitchen. A lip-smacking Paul Cluver cheese board, featuring a selection of locally sourced cheeses, charcuterie, preserves, olives and freshly baked bread at R200 per cheese board, is ideal as a light lunch enjoyment. For those with a sweet tooth the cinnamon sugar apple fritters made with freshly picked gala apples from the estate at R40 for six will be the perfect anytime snack during the weekend’s festivities. 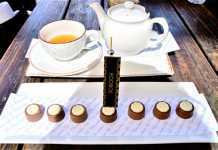 For that something extra special the estate’s Swirl & Savour offering is not to be missed. SALT at Paul Cluver will also be serving a delectable à la carte menu during the weekend. 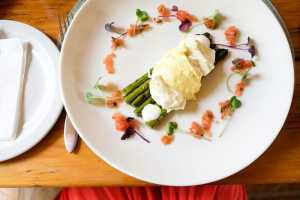 Choose between a two-course menu at R295 per person, or an indulgent three-course menu at R370 menu. SALT’s popular Sharing Platter will also be available over the two days, and will comfortably feed two hungry guests. The à la carte menu and platter exclude wine.